Flip a coin at the beginning of each turn. 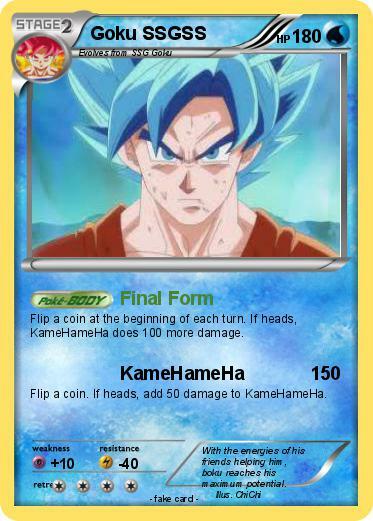 If heads, KameHameHa does 100 more damage. Flip a coin. If heads, add 50 damage to KameHameHa. Comments : With the energies of his friends helping him, boku reaches his maximum potential.